This post created in in partnership with World Market. The projects and opinions are my own. appy New Year, everyone! Hope you all had a wonderful holiday break with family and friends. I am pretty excited to be kicking off the new year in a new house, and to be back to updating you with all that’s going on around our place. I’ll be sharing the current “state of the house” post this week and, of course, I’ll update you on all the ideas and projects currently in my mind and underway :). Sometimes after the Christmas tree is put away and the holiday decor is packed up the house can feel kind of empty, but on a more positive note, it also can feel streamlined and cleaner. 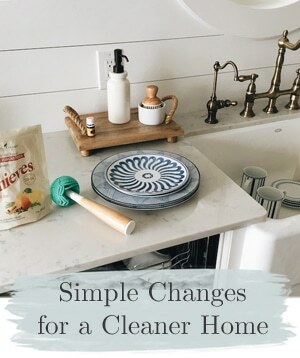 January is for fresh starts, so I think it’s a great month to get a fresh look at what you can improve upon around the house in the upcoming year. Now is the perfect time to get organized and even tackle a few interior projects that will likely be neglected or put off when the weather is nicer. 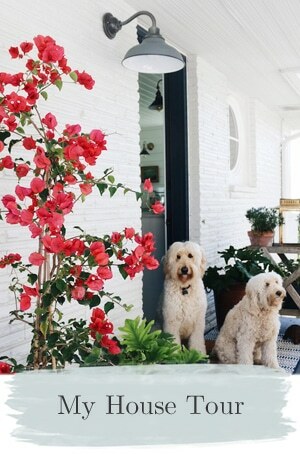 A little creativity can go a long way to transforming how a house feels. And fortunately, immersing ourselves in creative projects at home can go a long way to improving how WE feel this time of year, too. 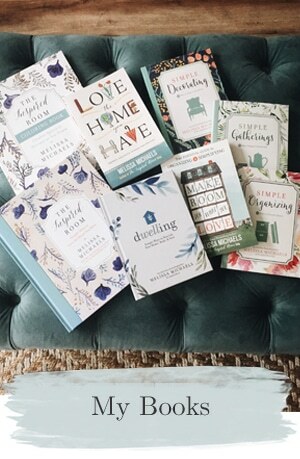 One of the most useful ways to refresh your home for the new year is to make your functional, every day items more organized and beautiful. A dramatic improvement can be as quick and easy as corralling necessities in an attractive cart or basket! Towels, cosmetic bags and essentials are all organized on the cart and ready to use. 2) Make the most of the space you have. 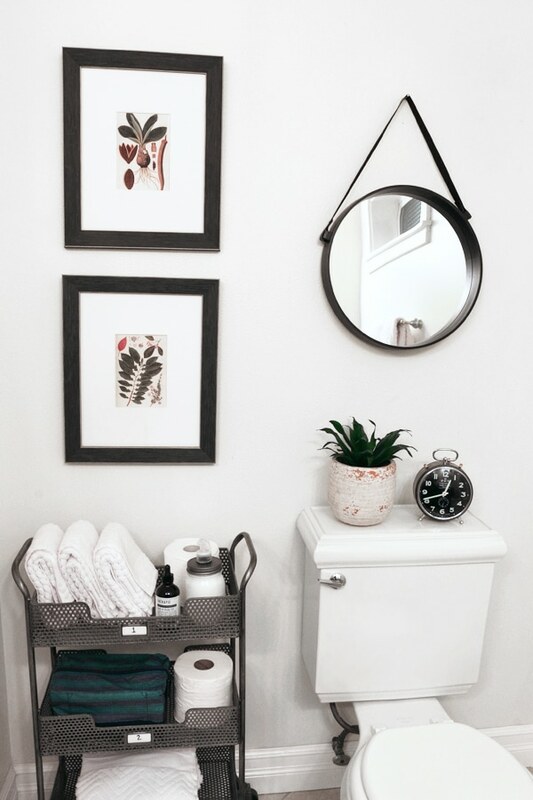 Don’t overlook small corners or hallways in your home as you are getting organized for the new year. Put those spaces to work! Even tight little spaces can be so much more useful and charming. I love transforming small areas into functional spaces for our family. Again, like the bathroom project, the walls in this corner of my home were unused blank slates last week. Conveniently located in our upstairs hall between our kitchen and basement staircase and right outside of my son’s bedroom door, there was just enough room for a small “command station” to make this well-traveled space more functional. 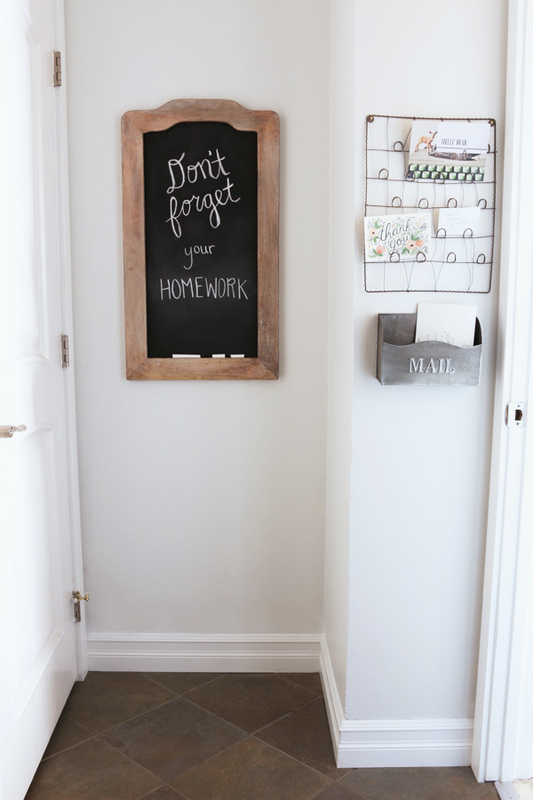 We are using the cute chalkboard as a “reminder board” for our son now that school is staring back up again after the holiday break. It will be helpful in those subtle messages and reminders from mom as he walks out of his bedroom door in the morning. :) Parenting for the win! The mail box will be a much needed drop spot for incoming mail. I still can hardly believe how much these spaces in my home have improved with just a little effort! Once the Christmas tree is put away, plant a winter terrarium to bring green back into your home! It is so therapeutic to work with plants, and love planting mini-gardens inside and out all year round. 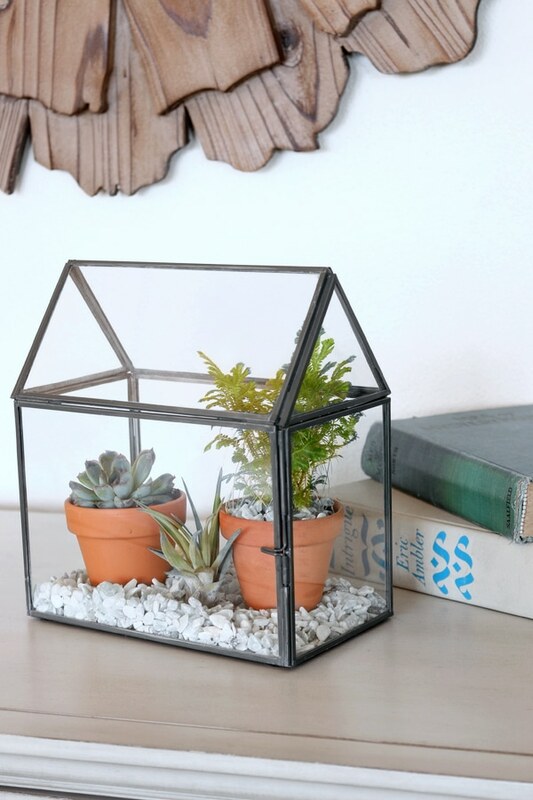 These little terrariums are so darn cute, they make designing an indoor garden fun in all seasons. This would be a wonderful project to do with the kids or use for table decorations. World Market carries a variety of containers you can choose from, so you can really get creative in bringing the outdoors in through all the seasons. I pick up little seasonal plants for my terrariums at a local nursery, but if you don’t have a green thumb, World Market has great faux plants you can use to get your gardening fix without fear of plant killing. 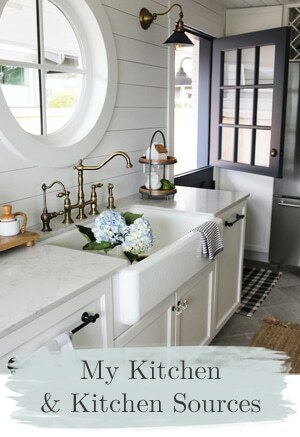 I hope seeing these projects has inspired you to enjoy finding ways to refresh your home throughout the new year! Below you can find the sources from World Market in these projects, along with several other favorites for refreshing the home. Just click the arrows below to scroll through! Disclosure: I was provided a gift card to World Market for the products in this post. HAPPY NEW YEAR! What small project around your house could you complete this week to kick off the New Year? Thank you for the inspiration. One question: where did you get the rack in idea #2 that holds cards and notes? That would work perfectly in my home office! Where can I find the wire card holder? Love it! Hi Melissa. Love your ideas & ditto re: the card holder questions. Also, the cart is your bathroom is fabulous & would fit in front of our toilet (which has a pocket door we can close – once it’s repaired). World Market said don’t uses around excess moisture. I’m curious if the steam from the shower would harm it. I love your book & have already pre-ordered your new one. Thanks for the inspiration. Lovely inspiration for the New Year- Thank you!!! 2. Unpacking our boxes of books to place and organize on bookshelves and stack coffee table books on a white chair next to a plant. 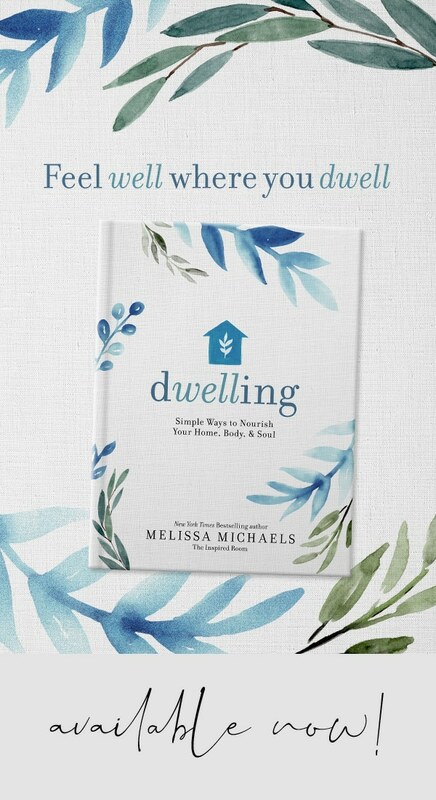 Melissa, I love the nice touches you have done in your home. I really love the stand in your bathroom. World Market is one of my favorite places to shop for unique storage ideas and décor. I just finished tackling my first organizational project for 2016 and that is the transformation of my hall closet. I am so happy with the results that I did a YouTube video…LOL! 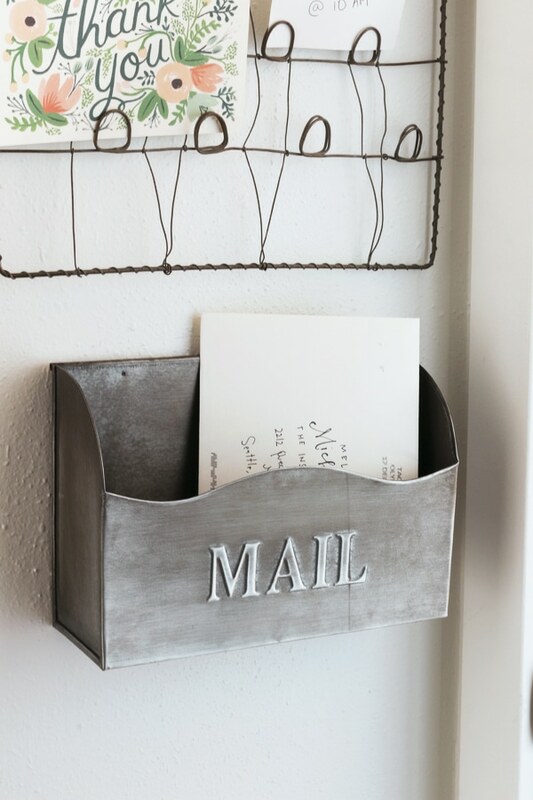 Oh, I am so glad to hear others were in love with the wire letter holder. I, too, would love to know the source. 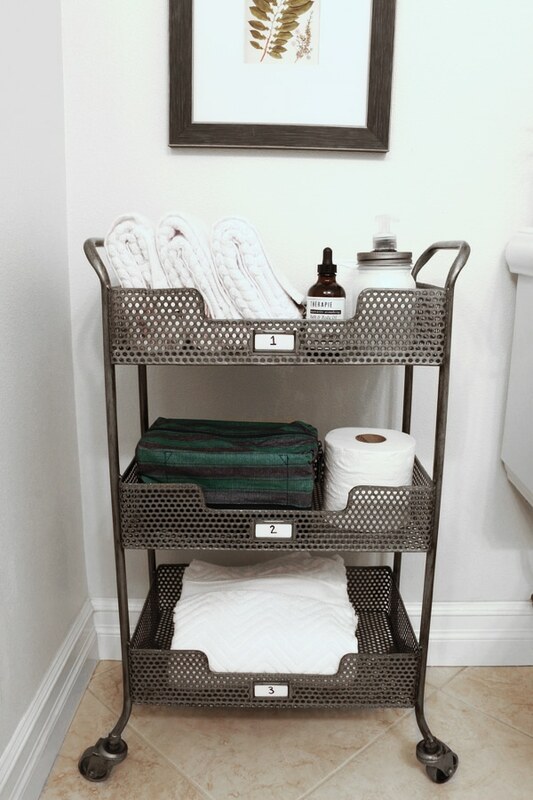 I love that bathroom cart! We just upgraded our art at our second home to that of oils of the area. What a difference that makes. When you can afford more, consider this as one of your goals of the new year. Support art and artists!!! If not oils, move on to real art that is signed and learn about the artist and print out the info and add to the back for your future files. It adds that personal touch to your world. We love to discuss the mood of the art and how the artist felt at the time. The strokes and colors are noted and appreciated. We want to mirror our present world but you can involve your travels too. We also have rooms devoted to some of our most favorite places like Hawaii (guest bathroom) and Italy (one Master Bedroom) and Malibu (another Master Bedroom) or fun loving other themes (one for the love of royalty (one guest room), family (another guest room), and Snoopy (kids room). The art reflects that as well as the colors and objects. I like that you understand that rooms should reflect individuals and not cookie cutter thoughts. 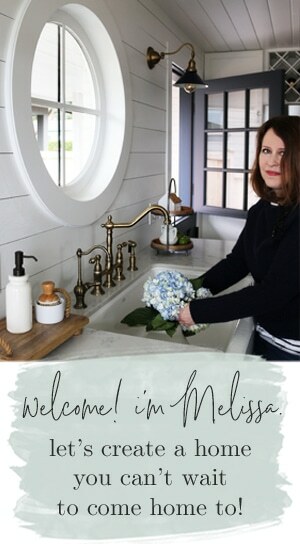 Thanks for the peek into your little nooks and crannies, Melissa! I talked a bit about my upcoming house projects on today’s post … putting huge commercial grade storage shelves to work in the basement … and choosing the right paint color! I love your posts, always practical & fresh. These are great tips & I loveeee these goodies!! Happy Tuesday friend!! Hi Meliss!! Where did you get the piece above the little mailbox? Thanks for sharing inspiring spaces! 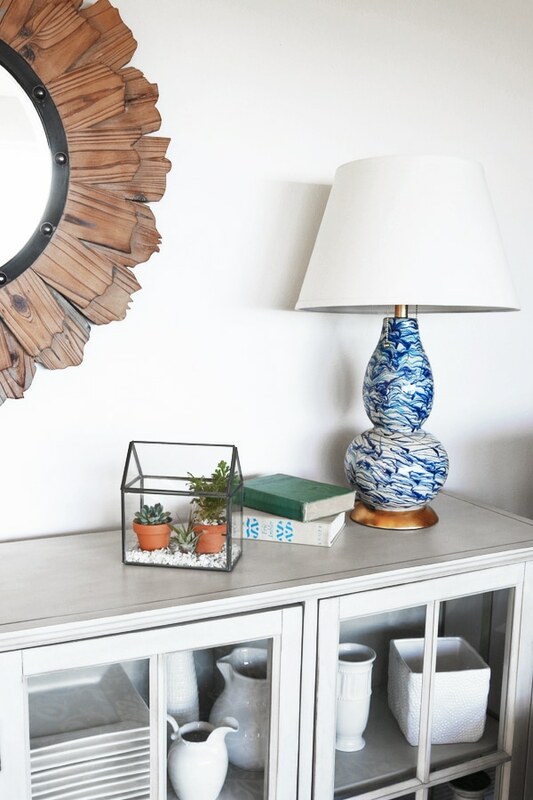 May I ask where you got the blue/white lamp in the terrarium photo? Thanks! great spaces.. that blue lamp is gorgeous. I love how your house looks. Every corner is Instagram worthy! I like what you’ve done to decorate the toilet lid. I’ve been struggling to figure out what to add to ours that would be practical yet decorative. A clock, especially one with a second hand for timing kids’ teeth brushing, is a great idea! Mind if I ask, where you got yours?